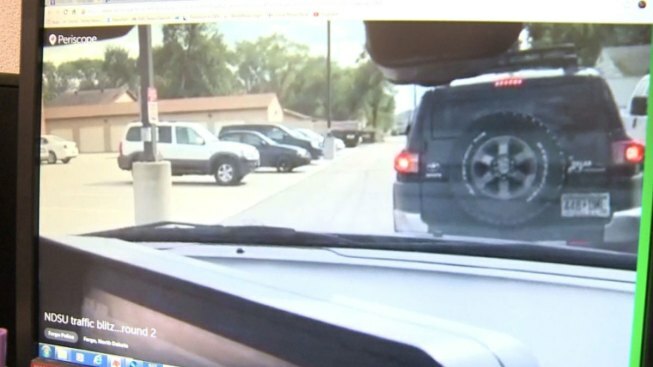 Police in Fargo, North Dakota, have started using Periscope, an app that broadcasts live-streamed video over the Internet, for routine traffic stops. Police said their intention isn't to shame people, but hope the videos will encourage transparency and dialogue, KVLY reported. "We want people to ask us questions or be able to interact with us in a positive way, and this was just one more form of them to be able to do that," said Officer Jessica Schindeldecker of the Fargo Police Department. But using the app comes with a price: license plates will be visible in the videos and posted for anyone to see online. The shift to stream the traffic stops had some residents concerned about their privacy. “If you're either friends with that person or knew who that was, recognized the car, you can tell who that is," said Fargo driver, Mara Paulson, who also questioned whether the videos would make drivers slow down. Paulson, who didn’t like the idea, said she’s unsure whether people will learn from the experience or use it "more for entertainment purposes." Several traffic stops near the North Dakota State University campus have already been broadcast online, according to KVLY.